Considering a career in Cosmetology? If you believe that this occupation holds great promise now and into the future, you're not alone. A career in Cosmetology offers both opportunity and job satisfaction. It's an exciting occupation that inspires passion and creativity. But there's more to the story. The field of Cosmetology is among the fastest growing occupations expecting one of the largest numerical increases in employment, according to the United States Department of Labor. Employment of hairdressers, hairstylists and cosmetologists is projected to grow 12 percent through the year 2016. It's also reported that employment of manicurists and pedicurists is expected to increase 28 percent over the same period. At Grabber, students will become well-equipped to enter the cosmetology field by participating in our program that provides instruction in all phases of hairdressing, cosmetology and manicuring. Students will not only learn in the classroom but are able to practice their skills in our in-house salon. Our experienced instructors will also teach students how to interact professionally with clients and give them the necessary tools to succeed as their own boss in the St. Louis area. This course is taught in English. 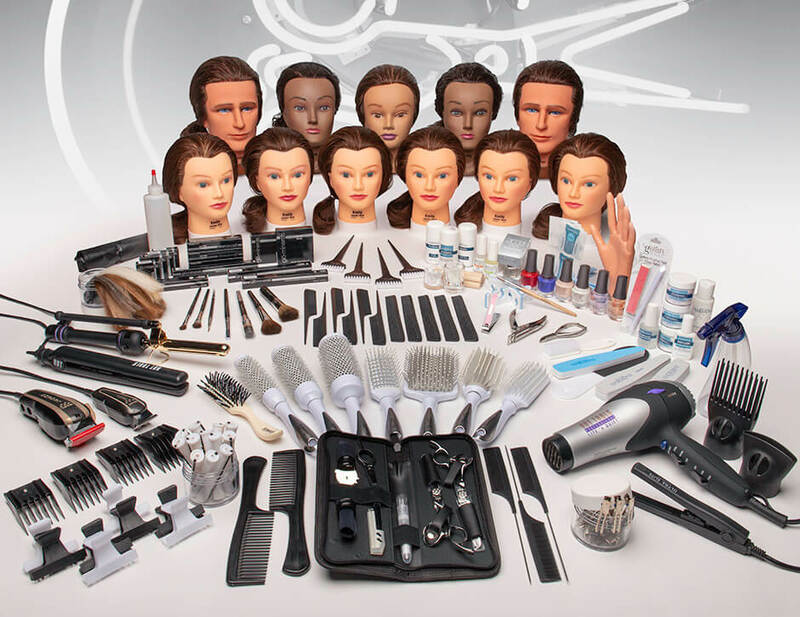 The cosmetology program kit provides students with the tools they will need to participate in our program. Visit the cost page to learn more.